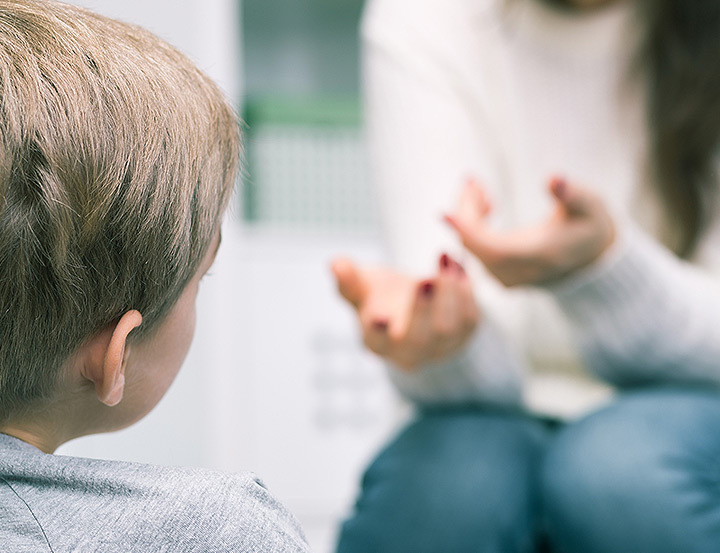 Deciding when and how to explain a learning disability diagnosis to a child is very much a parent’s choice, but is often influenced by the child’s age. The reality is that most children are aware, even from quite a young age, that they are struggling at school and that something is ‘not right’. Sadly a significant number of children believe that the reason they are having trouble learning is because they are ‘not very smart’ or even ‘stupid’ and they may be experiencing feelings of low self-esteem as a result. Many children are relieved to have a way to explain their difficulties and to learn that the problems they are experiencing have nothing to do with low intelligence or lack of effort. Many families prefer to use the terms dyslexia, dysgraphia or dyscalculia when they talk to their child. This is generally when children reach an age where they can understand the concept and want an explanation for their difficulties. As discussed in the self esteem section of this Guide, parents can help reduce the chances of a child with a learning disability experiencing low self-esteem by helping their child understand the nature of his/her learning disability. The research suggests that a critical factor in overcoming the risk of low self-esteem or mental health issues in children and adults with learning disabilities appears to be self-understanding, acceptance and a feeling of control over one’s life. Self-understanding includes having enough awareness of one’s own strengths and weaknesses to be able to think of, or find, other strategies to compensate for a learning disability. Individuals who have a greater understanding of their area of difficulty are better able to make decisions and problem solve when they are faced with a task that they know they will find challenging. As a consequence they are more likely to seek help when needed, or find an alternative strategy. As previously mentioned, deciding when to discuss a learning disability diagnosis is often influenced by a child’s age. For a young child, it may be useful to focus on their need to be taught to read (or spell, or write etc.) using a different approach to others rather than using the term “learning disability”. For an older child, providing clear and factual information about their learning disability is important along with discussing strategies that may assist them. There are also many children’s books available that share stories about different characters with various learning difficulties or that explain learning disabilities in child friendly terms. For example, ‘It’s Called Dyslexia’ by Jennifer Moore-Malinos, ‘Freddy Solves a Problem’ by Emily Springfield or the Hank Zipzer series of stories about a boy with dyslexia written by Henry Winkler and Lin Oliver. All of these books are available through DSF Literacy and Clinical Services. Next: Can a learning disability really be considered a gift?